Notes: This race night is for the club funds and Peedy parrot will be introducing all the the races and snails in each race and trying to keep all the contestants under control. Slip along for some powerchair action packed racing. 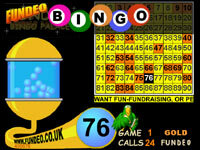 Don't miss out on this Fundeo event. UPDATE: Everyone loved this fundeo snail racing night with over 100 attending and £2500 raised.